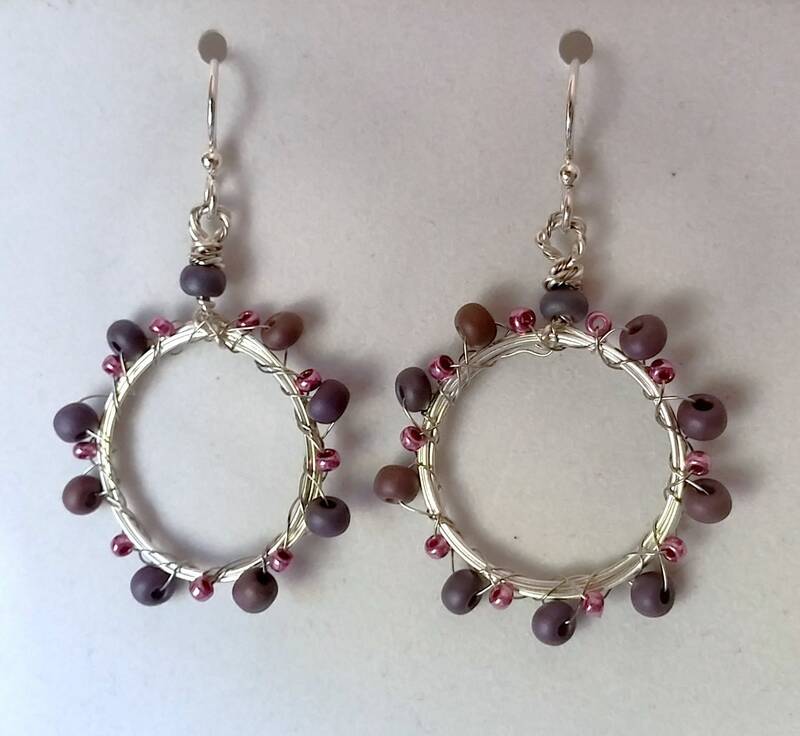 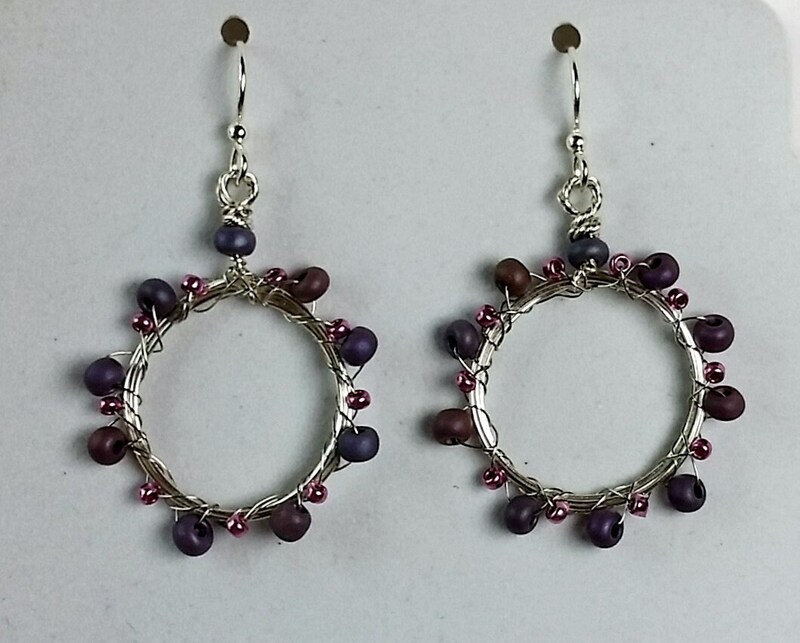 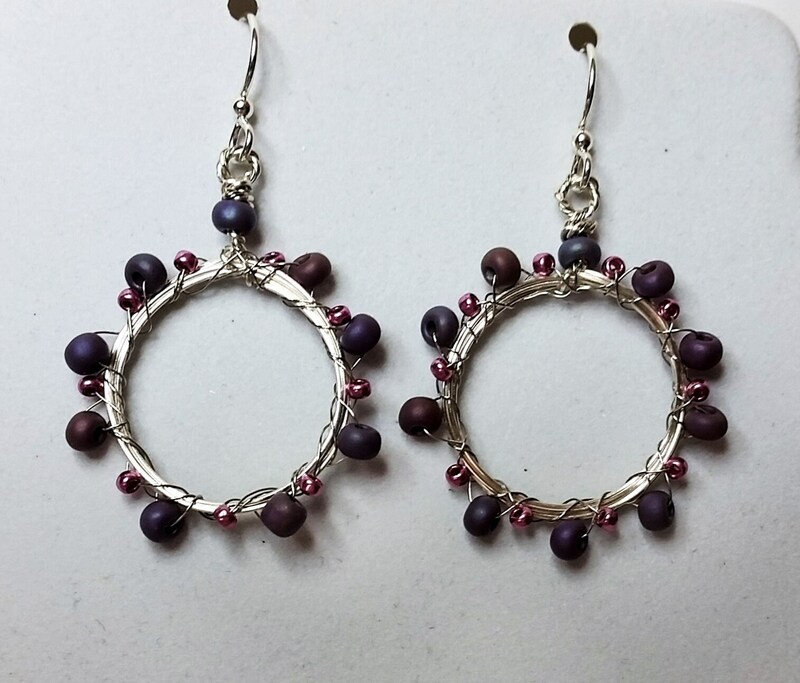 These sweet quarter sized handmade hoop earrings have 2 sizes of seed beads woven to them - the larger bead in matte purple tones and the smaller in metallic purple-ish pink. 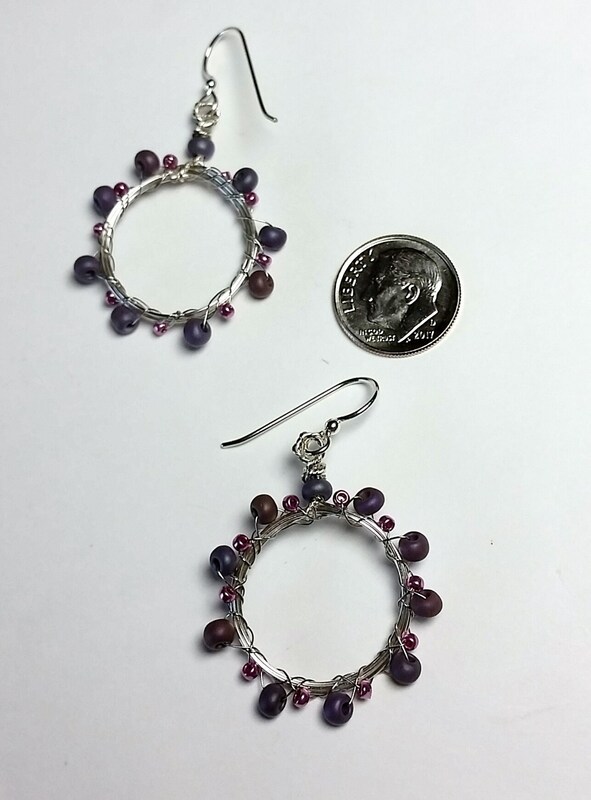 The silver craft wire makes the colors pop! 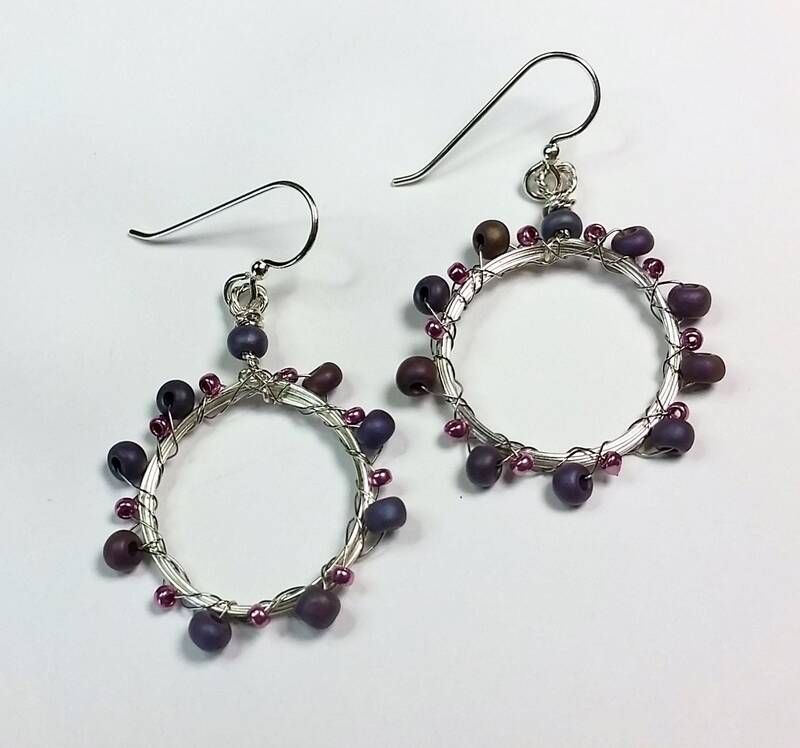 They are suspended from sterling silver ear wires. 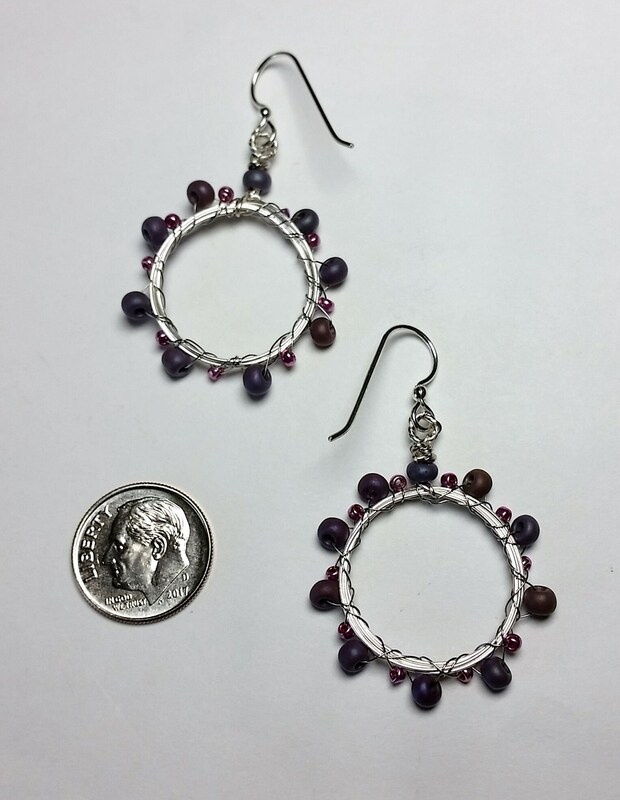 The size of the circle hoops can be judged by the 2 pictures that have a dime in them for scale.